Interested in learning more about Traverse City's history? 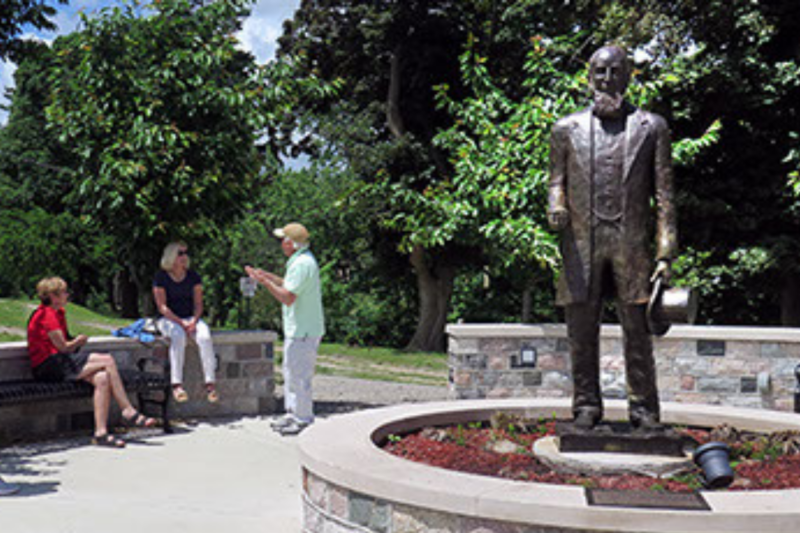 This two-and-half hour guided walking tour will take you on a fascinating journey into Traverse City's past. You'll stroll past lumber barons' mansions in our historic districts, learn about the importance of the Boardman River to both native and immigrant populations, hear tales about the people who lived and walked these same streets in decades past, become acquainted with historic structures in the downtown area and much, much more. Tours are not cancelled due to light rain or drizzle but any dangerous weather conditions will result in cancellation. Check the website for last minute details. Also, the walk includes stairs and, as such, it may not be suited for those with walking or stamina issues. With advance notification, however, accomodations can be made.